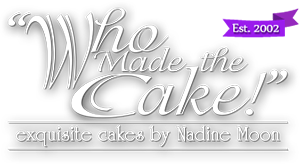 A personal consultation will be scheduled with Nadine to discuss and begin designing your wedding cake. 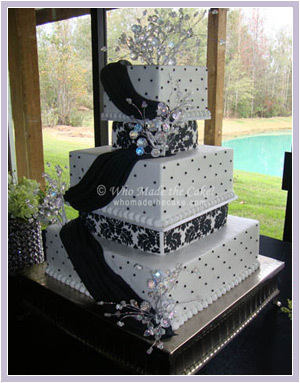 You may view our displays, browse through photo albums of spectacular cakes that have been created by “Who Made the Cake!” or together we’ll custom design plans for a “One of a Kind” masterpiece. Nadine will sketch out your design & get you a quote during the consultation. 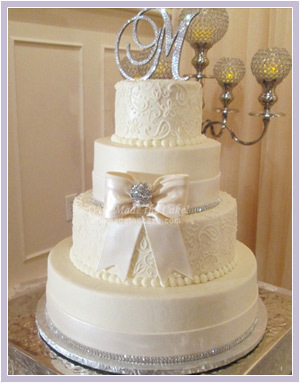 Cakes can be decorated with fresh flowers, exquisite handmade sugar flowers to match your bouquet, edible lace to match your wedding gown, or a variety of elegant accents. Feel free to bring a photo of a cake that you might like to have reproduced. 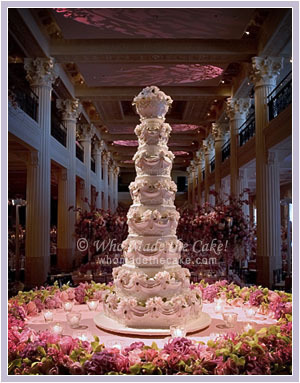 Your consultation will not be complete without a tasting of our most popular wedding cake flavors. Arrive about 5-10 minutes early to look at displays before going into the consultation room. If you arrive more than 10 minutes late, your appointment will be rescheduled, as consultations are scheduled back to back. Feel free to bring pictures of your dress, invitation and/or flowers for inspiration. 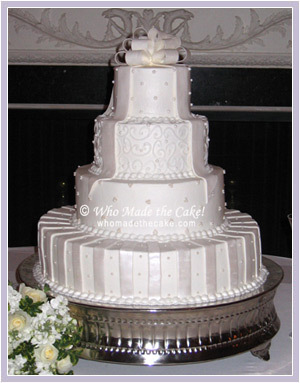 If you would like color on your cake, bring color swatches or paint chips. Limit the number of people attending with you to key decision makers. The consultation room comfortable fits 4 guests, but no more than 6. Carpool is possible, as parking is limited. Come hungry! You will be sampling 6 of our most popular flavors! A 25% deposit is required to hold the date. We accept Visa, MasterCard, Discover, Cash or Check. Deposits can be done during the consultation or at a later date. 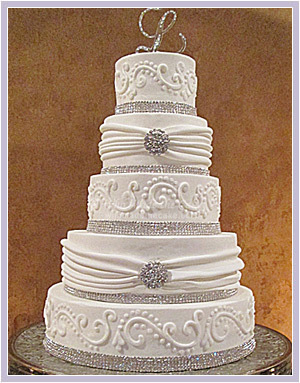 However, keep in mind that we limit how many cakes we do each weekend in order to maintain our high quality standards. Don’t wait too long & run the risk of your date being closed out.